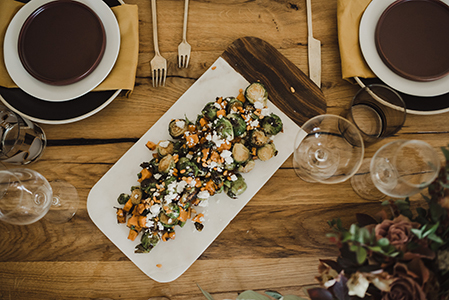 We would be honored to join your Thanksgiving table this year with our Holiday Menu. 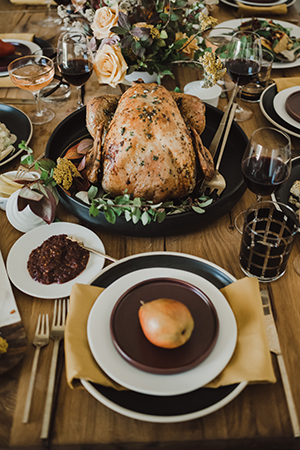 We know you already have a lot on your plate around the holidays, so we are proud to share our Organic Turkey Dinner Package that will have you looking like a hero and allow you to spend more quality time with friends and family. And if you still want to prepare your own turkey or just your favorite dish, then call us for some extra appetizers, sides and desserts to lighten your load in the kitchen. And as always with MIHO, It’s all hand made with the best possible ingredients. Creating experiences beyond the ordinary is our passion and that goes beyond our love for food. It’s all in the details - so this year we teamed up with The Hostess Haven for all your table top needs - from plates to flatware to glassware to linens so that you can be the perfect host and hostess! And for the floral game who better than Siren Floral Co. to make your Thanksgiving table look like it came straight from the turkey gods. You can order directly from them and pick it all up along with your food order at our headquarters in Kearny Mesa on Wednesday, November 21st, the day before Thanksgiving. 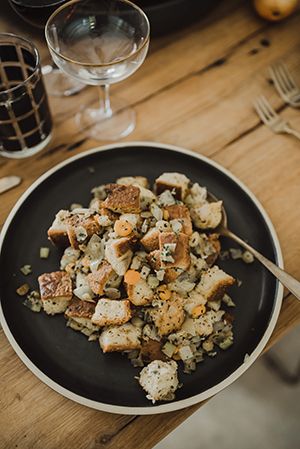 Your fun, easy and tasty Thanksgiving starts here!